From water conservation and reducing our use of petroleum-based fuels to recycling and finding renewable energy sources, Georgia’s environmental successes are impressive. As green practices continue to become more standard in the construction and development industries, Atlanta is ahead of the pack. The city is a partner in the Better Buildings Challenge, a national leadership initiative with a goal of making the country’s commercial, multifamily and industrial buildings 20 percent more energy efficient by 2020. Taking it one step further, Atlanta added an extra 20 percent goal to reduce water use by 2020. Although it was no cost to the state, it shows vision that Georgia added a state tax in-centive to build green, Creech says. “It helps match federal tax credits and helps the developer compete.” Where originally there was “no conversation” about building green in the commercial sector, “now 75 million square feet of commercial Atlanta real estate is committed to the Better Buildings Challenge – from the Fox Theatre to the Bank of America building,” he says. The state is currently ranked No. 7 in the country for LEED-registered buildings, a U.S. Green Building Council designation for sustainable design and construction. Georgia is home to more than 250 LEED-certified buildings and nearly 1,000 LEED-registered buildings. It’s one of the strongest states in the country in sustainable, green construction. Add all that up, and it doesn’t even begin to touch on the economic impact of water conservation efforts, recycling and renewable fuel use across our state. Here’s a look at some other ways Georgia is growing green. In a time of interstate water wars and recurring droughts, water conservation is a hot topic in the business community. Many manufacturing facilities rely on a high – and consistent – volume of water to function. One of the biggest success stories in water conservation is that of the Metropolitan North Georgia Water Planning District. Formed by the Georgia legislature in 2001, the district has the responsibility of water waste and water resource planning for 15 Metro Atlanta counties. In the decade after the district’s formation, per capita water consumption in the area dropped some 20 percent. From 2006 to 2009 alone, total withdrawals dropped by 10 percent, thanks in large part to 19 conservation measures established by the district’s Water Supply and Water Conservation Management Plan, says Katherine Zitsch, manager of the Atlanta Regional Commission’s Natural Resources Division and director of the Metro Water District. These 19 conservation measures run the gamut from conservation pricing – meaning the more you use, the more you pay, which in turn discourages water use – to installing rain sensor shut-off switches on irrigation equipment and encouraging foodservice establishments to retrofit pre-rinse spray valves. Nearly half of the water used in dishwashing operations – which itself accounts for more than two-thirds of a typical restaurant’s total water usage – is used by the pre-rinse spray valve, so retrofitting the valve with one that uses only 1.6 gallons per minute (gpm) or less versus the standard 3 to 7 gpm is a significant difference. “What we have put into place in the metro area is really unique and one of the most aggressive water conservation programs in the country,” says Zitsch. And it seems to be working. In a 2012 study by the Alliance for Water Efficiency, a Chicago-based nonprofit dedicated to efficient and sustainable use of water, Georgia ranked fourth in the nation for water efficiency and conservation and first among the states in the Southeast. “It is really a testament to what we are doing across the state and Metro Atlanta,” says Zitsch. On the coast, Georgia is addressing a different resource challenge – saltwater intrusion, a process where saline water moves into freshwater aquifers, contaminating drinking water sources like local wells. Saltwater intrusion occurs naturally; a problem arises when an aquifer is pumped faster than it can be replenished, causing significantly more intrusion to occur. Twenty-four counties along Georgia’s coast rely on the Upper Floridan aquifer, which continues to face increasing demand as more people and industries move to the coast. Now, many municipalities are looking at alternatives to using groundwater. “There are different approaches to weaning ourselves off that groundwater use,” says Jud Turner, director of the Georgia Department of Natural Resources’ Environmental Protection Division. For many users on the coast there is other surface water availability (think creeks, lakes and streams), but for Tybee Island, which is more isolated, connecting to surface water doesn’t make sense from an environmental impact standpoint. Atlanta has come a long way since 1993, when the DOE designated the metro area the first Clean City – a nationwide program to promote the use of alternatives to gasoline and diesel fuel in cars, trucks and buses. In addition to helping clean the air, use of fuels like natural gas, biodiesel and electricity also reduces the nation’s dependence on foreign petroleum. In 2013, the coalition expanded to cover the entire state and changed its name to Clean Cities-Georgia (CC-G). Its reputation as a leader in alternative-fuel vehicle activity continues to grow. The goal of the Clean Cities program is to bring Georgia into attainment with National Ambient Air Quality Standards by reducing dependence on petroleum-based fuels, says Don Francis, CC-G’s executive director. Commercial users of alternative-fuel vehicles – primarily natural gas – include the sanitation departments for DeKalb County and the city of Atlanta, most mass transit agencies like MARTA and Gwinnett Transit, much of the UPS and FedEx delivery fleets, and more than 100 shuttle buses serving Hartsfield-Jackson Atlanta International Airport, Francis says. Long term, he says, the move to natural gas vehicles is extremely cost effective, with natural gas costing less than $2 a gallon. However, the initial cost – including purchasing the natural gas vehicles and building natural gas stations, which can run as high as $1.5 million – is higher than for vehicles using petroleum-based fuels. “You have to get a lot of big fleets in there to justify the cost,” Francis says. At press time, Georgia had 13 natural gas fueling stations. Francis expects that number to be 20 by year’s end. There’s also nine cities in Georgia where you can fill up your vehicle with bio-diesel – vegetable oil- or animal fat-based diesel fuel – and many companies are sprouting up to reclaim spent grease from restaurants to convert to biodiesel fuel. Biofuels continue to be a viable product abroad, supporting Georgia’s forestry community, which is second only to Oregon in acres of managed forestland, and bolstering statewide conservation efforts. The state also is seeing growth in the use of electric vehicles, which means one of the greatest challenges in that area is the lack of public charging stations. Francis estimates there are somewhere north of 500 charging stations in Georgia. Some businesses are picking up the slack, making the addition of charging stations part of their total sustainability offerings – and an employee perk. For example, Ponce City Market in Atlanta offers charging – free for the first hour – at a single station for employees and visitors alike, with a fleet of charging stations on the way. Recycling is not only a key strategy in reducing waste, but it also supports the state’s economy by creating jobs. Georgia is home to more than 100 manufacturers that use recovered materials in their processes. The 16 paper mills located in Georgia recycle almost 8 percent of all paper consumed in the U.S. One-third of all plastic beverage containers recycled in North America are recycled into carpet in Georgia. One of the world’s largest aluminum recyclers, Novelis, is based in Atlanta. Its new EverCan boasts 90 percent recycled content and is part of the company’s goal to increase recycled content of its products to 80 percent by 2020. Recycling and other waste-reduction strategies have already increased the expected lifespan of Georgia landfills – the point at which experts predict our landfill capacity will be reached. However, only a fraction of the materials that could be recycled are. According to the Georgia Department of Natural Re-sources, an estimated 2.6 million tons of easily recyclable commodities are discarded in landfills here each year. In fact, Georgia industries, including carpet manufacturers, import recovered materials from other states for use in their products. By expanding the infrastructure in the state and increasing the availability of recovered materials locally, industries could reduce natural resource consumption, reduce pollution due to shorter hauling distances and potentially reduce their manufacturing costs, thus increasing their competitiveness. Efforts to keep costs low include a growing use of renewable energy sources, such as biomass, wind power and solar. Georgia is already a leader in renewable energy from biomass. According to the Energy Information Administration, Georgia ranked third in the nation in 2013 in net electricity generation from biomass. Some say the area where Georgia shines the most – and perhaps has the most untapped potential – is in the area of solar power. According to the Solar Electric Power Association (SEPA), a Washington, D.C.-based educational nonprofit dedicated to helping utilities integrate solar energy into their portfolios, Georgia had the seventh largest solar capacity addition in 2013, at 90 megawatts (MW). The Solar Energy Industries Association (SEIA) named Georgia the fastest-growing solar market in the nation for 2013, noting the state’s 225 percent increase in solar-related jobs last year. The real game changer for solar has been Georgia Power’s voluntary Advanced Solar Initiative designed to spur economic growth within the solar community and get Georgia to about 900 MW of solar by the end of 2016 – enough to support the energy needs for 130,000 households. There’s no doubt that the clean energy sector is poised for growth in Georgia. 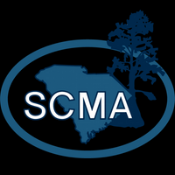 According to the 2013 Southeast Clean En-ergy Industry Census, produced by Southface in conjunction with the North Carolina Sustainable Energy Association, South Carolina Clean Energy Business Alliance and the Vir-ginia Energy Efficiency Council, there are 381 clean energy firms in the state. These companies work in fields ranging from biomass, hydroelectric and energy efficiency to wind, solar and alternative fuels. Together, they employ a total of nearly 10,000 full-time equivalent (FTE) em-ployees and generate $2.6 billion in annual gross revenue. And there is room to grow. For example, in the area of solar, it is worth comparing Georgia to our neighbor North Carolina, which installed 335 MW of solar in 2013, making it number three in the nation last year. Georgia’s solar sector generated $279 million in gross revenue in 2012. By comparison, North Carolina’s solar sector generated more than $1 billion in 2012. “Georgia spends billions a year to import energy,” says Shan Arora, project manager at Southface. “Based on En-ergy Information Administra-tion figures, about $32 billion leaves Georgia annually to pay for petroleum, natural gas and coal. This month more than 600 state, business and industry leaders, attorneys, consultants, engineers, developers, architects, public health officials, energy experts, local, state and federal government officials and others interested in environmental issues affecting Georgia will travel to the Jekyll Island Convention Center for the ninth annual Georgia Environmental Conference. “While other states hold conferences, we found our uniqueness in being so inclusive and diverse as far as across the various organizations that we have [participating],” says conference executive director David Mook who, with seven colleagues, developed and organized the first Georgia Environmental Conference almost a decade ago. Attendees of the three-day conference, held Aug. 20-22, will have the opportunity to choose from 51 education sessions and receive continuing education credits, says Mook. Last year the conference awarded its first scholarship. This year it will award two – one to a graduate student and another to an undergraduate student. The winners will have the opportunity to present their environmental research at the conference, says Mook. “Large organizations find this facet of the conference to be very attractive, because they love giving back and bringing in the next generation.